A Los Angeles startup and nine other companies will be competing in the 2017 Top Ten Automotive Startups Competition before the Los Angeles Auto Show in November. EV Safe Charge, which installs electric vehicle chargers at residential and commercial locations, has been named a finalist in the contest, which will take place at AutoMobility LA, taking place Nov. 27-30. The Auto Show follows on Dec. 1-10.The diverse group of finalists are working on electric vehicles, autonomous fleets and carpooling using artificial intelligence, augmented reality and remote sensors. The top 10 were winnowed down from an applicant pool of 300 based on a number of criteria including “the potential to greatly impact daily transportation and mobility needs from both a consumer and business perspective,” AutoMobility said. The finalists will receive exclusive access to AutoMobility L.A. exhibit space and tickets to the 2018 NVIDIA GPU Technology Conference on AI and self-driving cars in Silicon Valley in March. They’ll also be recognized in front of 25,000 attendees and be able to attend AutoMobility networking events and a VIP reception with the event’s executive team, advisory board members, investors and industry executives. The Top 10 will be narrowed down to three later this month. 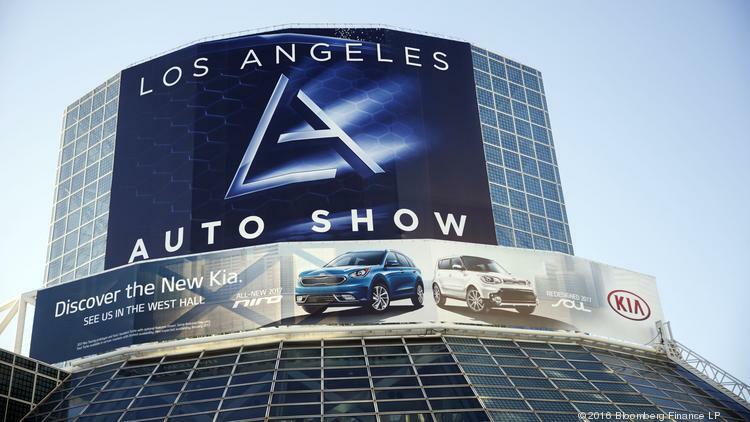 Then a grand-prize winner will be named on Nov. 28 during AutoMobility L.A. The prize package includes a $15,000 cash award plus an advisory session with the judges, who include executives from Elektrobit, the L.A. Auto Show, Microsoft, NVIDIA, Porsche Consulting and Time Inc.’s The Drive. NVIDIA will recognize an additional startup using AI with a software and computing platform package. Cerebri AI (Austin, Texas) provides patent-pending AI solutions to monetize a customer’s interactions with its vendors, utilizing the vast amounts of internal customer behavior and transaction data as well as external data. EV Safe Charge (Los Angeles) provides nationwide safe, reliable and robust residential and commercial electric vehicle charging solutions. GoKid (New York) is a complete carpool solution for schools, teams and active families. GhostWave (Columbus, Ohio) provides ADAS radars with two strategic technologies: immunity from mutual interference and a vehicle obstacle warning radar. Innoviz Technologies Ltd. (Israel) develops cutting-edge LiDAR remote sensing solutions to enable the mass commercialization of autonomous vehicles. Mighty AI (Seattle) delivers the training data to build models for autonomous vehicles, computer vision and natural language. Neteera Technologies Ltd. (Israel) develops Terahertz sensing technology, which has the flexibility to be used in varying applications to solve needs that have been flagged in different industries and markets. Ridecell (San Francisco) provides an end-to-end solution that supports all types of mobility-as-a-service offerings: car sharing, ridesharing, car rentals and even fixed route services. SPLT (Detroit) is an enterprise carpooling solution which leverages urban technology to reduce inefficiencies in transportation. WayRay (Switzerland) develops holographic augmented reality technologies for advanced connected cars.